Have you ever seen anything so incredibly unique and impressive as this white deer head hanging? A real work of art, this deer head wall hanging is made from resin, with a vibrant white finish that will illuminate any room its placed in. 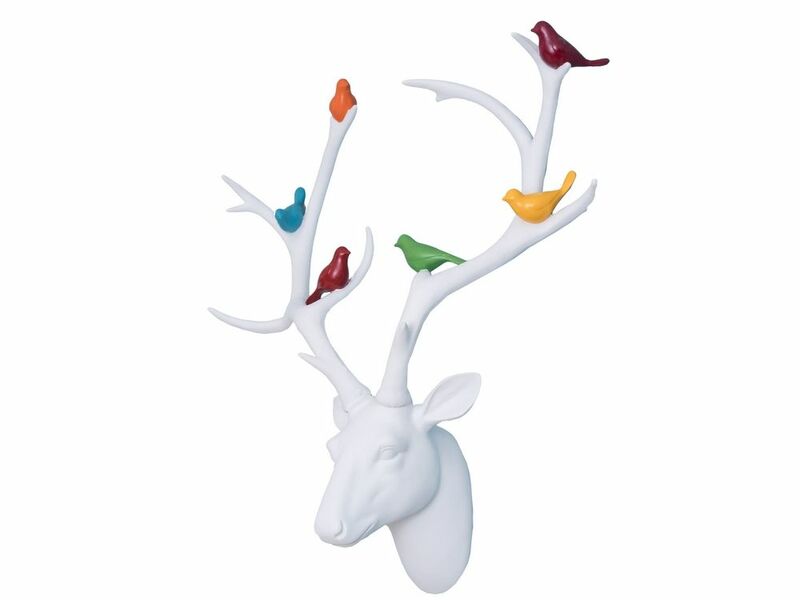 The six brightly coloured birds perched on the deer's magnificent antlers add a wonderful pop of colour and a hint of playfulness. A marvellous tribute to the wonder of the natural world and one of Britain's most iconic creatures, this deer wall hanging will bring to life any room its placed in.